Hi everyone, time for another fabulous sketch at Sketch N Stash and this fortnight it's our Angie's turn to be a designer. 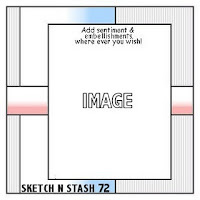 A lovely, easy sketch and your choice as to where you put your sentiment and embellishments, what could be better, so please try and join in with us. I decided this was the perfect sketch to use as my card for my best friend's hubby as it wasn't too fussy and I carried on the 'simple' theme by using a lovely image from Tiddly Inks called 'Light My Life' which I thought was perfect for a man's card. I find it much more difficult to make a card for males, mainly because I can't use use any pretty papers or embellishments, but DH gave this one the 'thumbs up' so it must look quite masculine! This fortnight's prize is being donated by our regular sponsor Simon Says Stamp and, as usual, they are generously offering our winner a $15 voucher to be spent in their store. I think this is a perfect man's card Chrissie and I think your friend's hubby will love it! Beautifully made as usual. 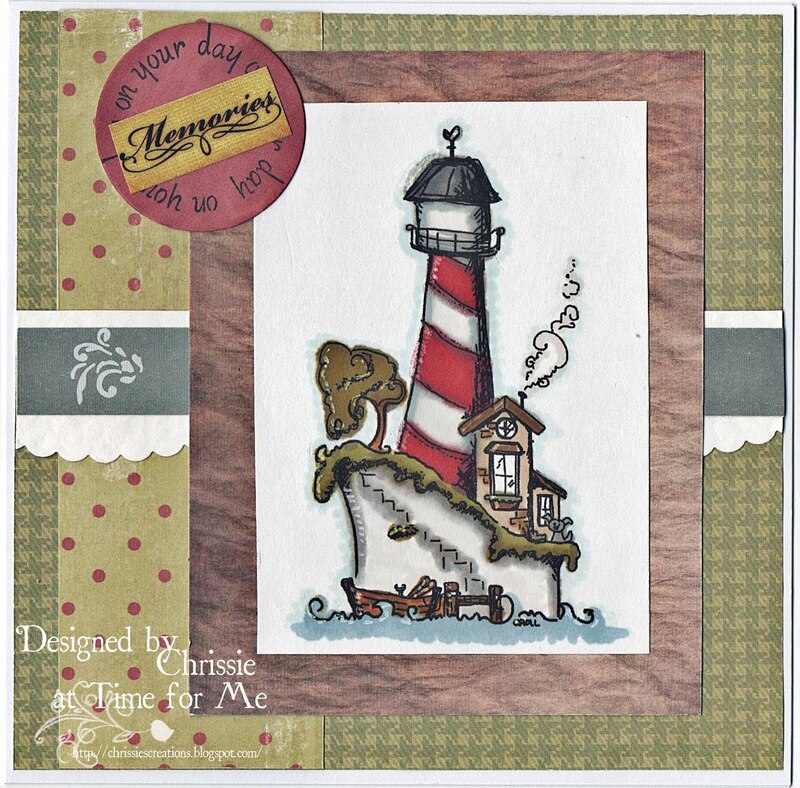 Hi Chrissie this is totally FAB, that image, papers and design look terrific. Brilliant card Chrissie, I like the image, and the papers. Hi, Chrissie! I love lighthouses and this one is so much fun! Beautiful card!